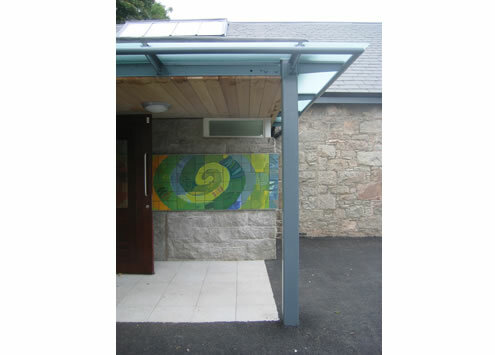 Completed in 2007, the Catstrand Arts Centre sits on the High Street of New Galloway in the former Kells School. The project provides a multifunctional facility which incorporates a series of art works in the design. The building now comprises the original school building and a new timber and glass extension. 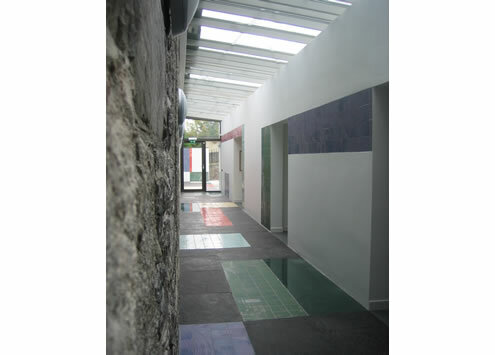 These two elements are separated by a glazed gallery incorporating a ceramic, stone and glass art installation by Will Marshall. The existing building has two distinct spaces : a foyer and reception area and a multipurpose auditorium to be used for theatre, music, cinema, dance and exhibitions. The new extension provides smaller meeting rooms, an exhibition gallery and back up spaces. 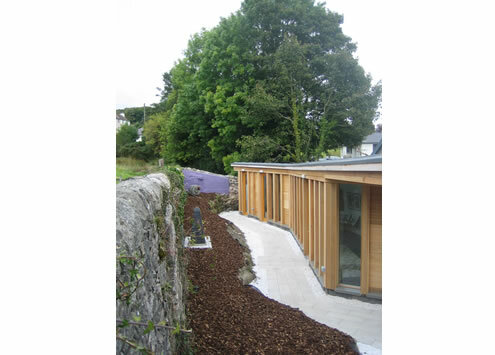 The small walled garden completes the project with art work created from salvaged materials from the original building.